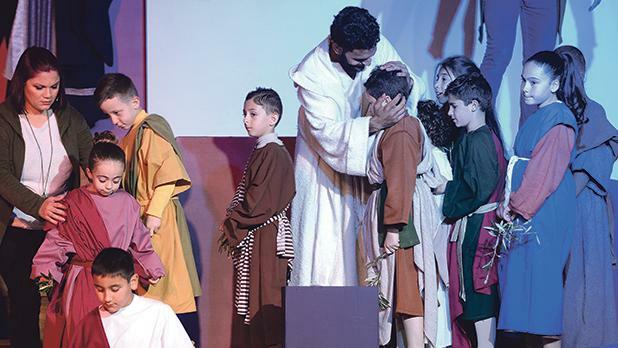 ‘Spect-actors’ following the Holy Week representation Alla Mneżża (Naked God) in Għargħur on Sunday will be urged to see not only the Son of Man denuded of his divinity but also reflect on humanity. “We aim to contrast physical nakedness with the Nazarene’s. 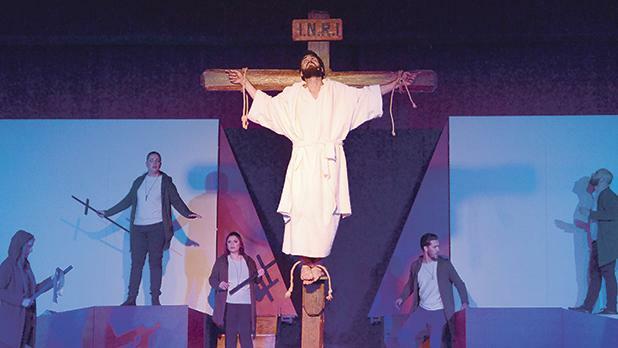 He claimed to be the Son of God and so is believed to have rendered Himself ‘naked’ when He took upon Himself our frail humanity,” the production’s author and director Martin Gauci says. Post-modern theatre trends tend to avoid “in-your-face” messages, he continues, so the production, consisting of a series of theatrical-intense images, aims to instigate the audience to delve deep into fundamental questions about humanity: Who are we? How did we get here? What will be our future? Is personal, communal, global peace possible? 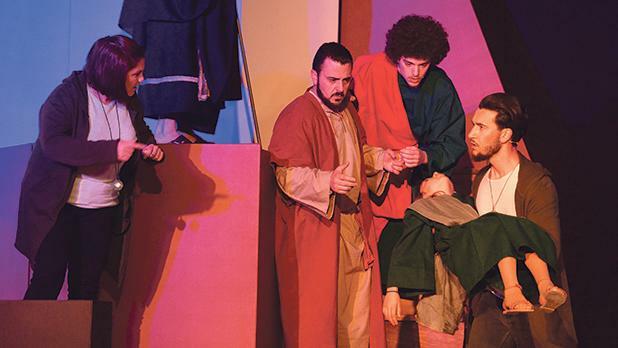 The production is presented by theatre company Dwal Ġodda, which every year strives to recount the Passion of Our Lord from a fresh perspective in a bid to keep the biblical story alive and appeal to contemporary audiences. Mr Gauci says the group of young and seasoned actors, which was founded in 1975, considered historical facts when deciding on the title. “Tradition has it that the norm in the Roman empire was that condemned persons were crucified naked to be ridiculed by passers-by,” he notes. So during numerous brainstorming sessions with group members, the question of whether Jesus was crucified naked kept popping up. The production, however, goes beyond physical nakedness, Mr Gauci remarks. 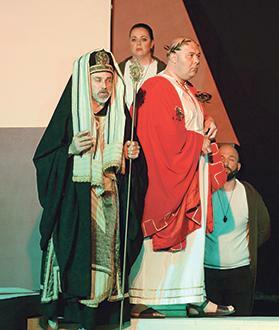 The 70-strong cast of actors will take to the stage set up in Għargħur’s main square on Sunday at 4.30pm. 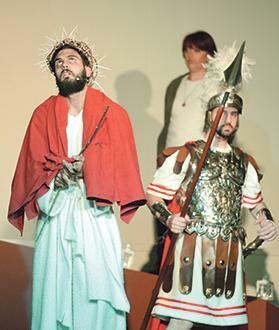 After the first act, the traditional Good Friday procession will leave the church, with the actors joining the participants. Choristers and musicians from the St Bartholomew Band Club will also be in attendance. 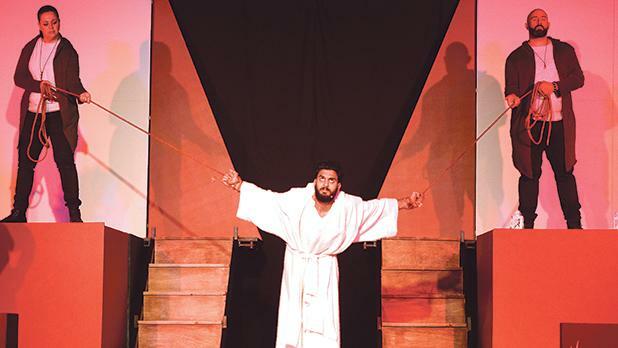 The second act of the play, featuring a theatrical discussion between characters such as Mary Magdalene, Judas and Simon from Cirene, starts at about 8pm. A ‘park and ride’ shuttle service will be operating in collaboration with the Għargħur local council from near the old Trade Fair grounds in Naxxar between 3.30pm and 10pm. Għargħur, like Għaxaq, holds the Good Friday procession on Palm Sunday. For more information, visit Dwal Ġodda’s Facebook page or call 7909 2624.